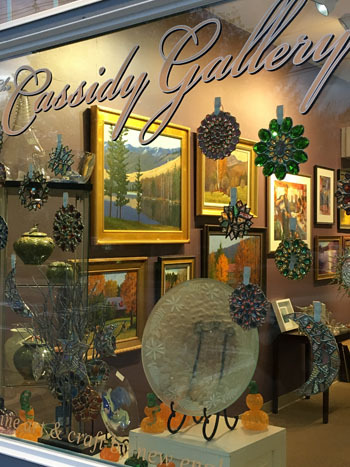 The Cassidy Gallery officially opened for business in January of 2013 and moved to North Conway Village in September 2018. 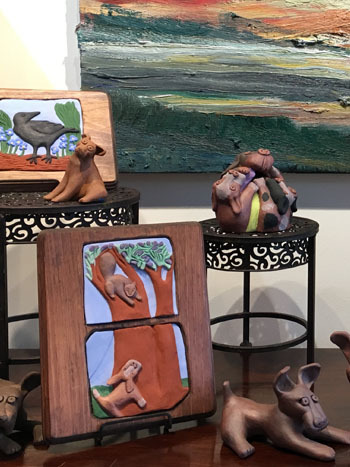 We present the work of over 50 fine artists and artisans from the six New England states and is the brainchild of artist and illustrator Nancy White Cassidy. 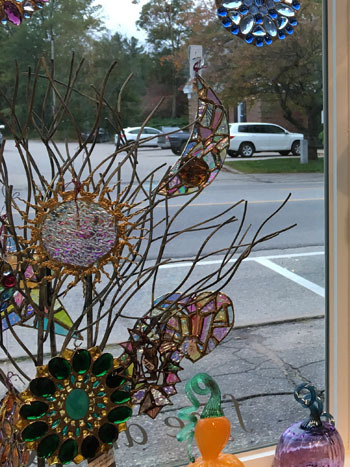 The Gallery is located in the center of North Conway Village at 10 Seavey St., around the corner from The Stairway Cafe, Spruce Hurricane, Penny Lane Boutique, The Beggar's Pouch and across the street from Badger Realty. We are also adjacent to Schouler Park and the Conway Scenic Railroad. 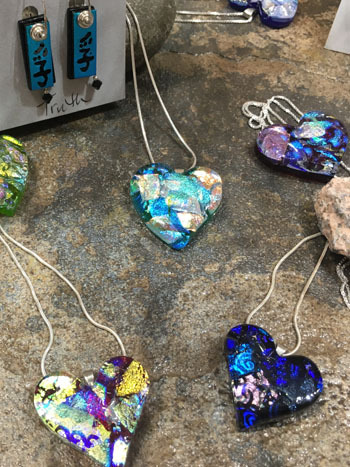 Besides paintings, we also feature unique jewelry, glass, wood, fiber and other media. Wedding or special gift needed? 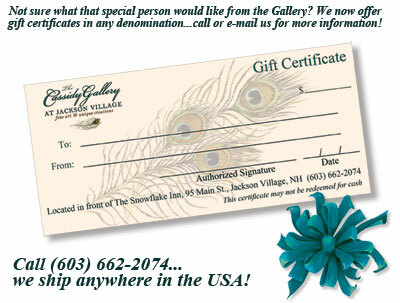 We offer gift certificates in any amount. If you're in the area, stop by during our business hours or call us at (603) 662-2074 and we can process your payment and mail one to you. Perfect for those Mount Washington Valley weddings or special events! Nancy holds a Master in Fine Arts with a concentration in illustration from Western CT State University. For several years, she illustrated for the children's educational market, but continued to expand her knowledge base on the fine art and art licensing side by attending trade shows and attending conferences. Trade shows such as America's Mart in Atlanta, Art Expo, Surtex Art Licensing, The National Stationery Show and Decor Expo in NYC and Book Expo in Los Angeles enlarged her view from only studio work to marketing on a broader scale. Drawing upon her experience in organizing and managing galleries, experience in curating shows, and with her wealth of artist contacts, the creation of the Gallery is a natual progression in her career. Besides her vast knowledge of the various art markets and artistic talent, Nancy has advanced skills in advertising, as well as graphics skills which serves her, and her artists, well in marketing. 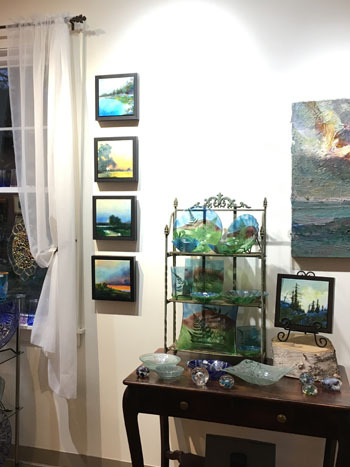 The Cassidy Gallery represents fine artists and artisans from all over New England. 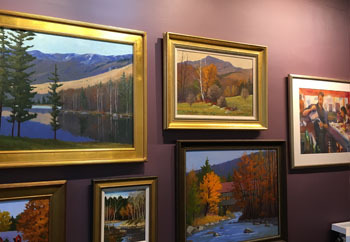 For queries about representation with The Cassidy Gallery, please send us a link to where we may view your work at cassidygallery@earthlink.net. PLEASE NOTE: Due to risk of viruses, we will NOT open attachments we did not ask you to send. For more information on what we require, please click HERE to download our PDF information sheet for Submission Guidelines. Website design by Nancy White Cassidy (House on the Hill Studio), all rights reserved. Hosted by Dreamhost.